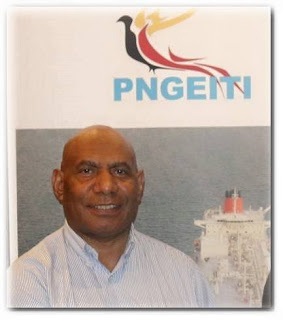 The PNG Extractive Industries Transparency Initiative (PNGEITI)Head Lucas Alkan has welcomed government polices to push for honest reporting on proceeds from mining and petroleum projects. Mr Alkan was commenting on aproposal by the Department of Mineral Policy and Geohazards Management (DMPGHM) to introduce a policy for stakeholders in the mining industry to declare any revenue received or made from mining projects. (DMPGHM) secretary Harry Kore said in the local press that the idea come about during the consultation period for the revised Mining Act. He said while there were reports of mining revenue generated, a lot of locals impacted by mining activities claimed not to see tangible results. Kore said the policy would ensure stakeholders such as provincial governments, authorities such as the Mineral Resource Authority (MRA) and the Mineral Resource Development Corporation (MRDC) as well as landowner associations to declare revenues received for the benefit of all. “Despite the fact that it will take some time to set up the legislative and policy framework for EITI, we are positive of achieving good outcomes” Mr Alkan said. “People have always been telling rosy stories about promises the mining and petroleum industry hold for this country but this has sometimes become a paradox in areas that the resources are being extracted and one doubts such promises are true,” Mr Alkan said. “PNGEITI’s resolve to become that magnifying glass for people to see how benefits are distributed is becoming stronger every step of the way as we have the required support from the industry, civil societies and of course the government,” Mr Alkan said.